I've learned I have a bit of an addiction to chairs. Last weekend my aunt and uncle had a garage sale and I spied a pair of rattan arm chairs that were my parents'..they were in our apartment when I was a baby (I remember them really clearly- in the living room, on either side of the glass and wood coffee table- that I broke when I was 8 and tried to make an indoor slide BUTS THAT'S ANOTHER STORY) and we had them somewhere in some room of whatever house we lived in forever after that. I assume my aunt & uncle inherited them when my parents moved back to Manhattan 10 years ago but who knows..the point is that I saw them and couldn't let them be someone's else's. There are some broken rattan bits but the burnt orange velour seats are in impeccable condition..The label underneath says GIMBEL'S (can ya stand it?). As much as I love everything 70's, even I needed to excitebike up this situation right here. 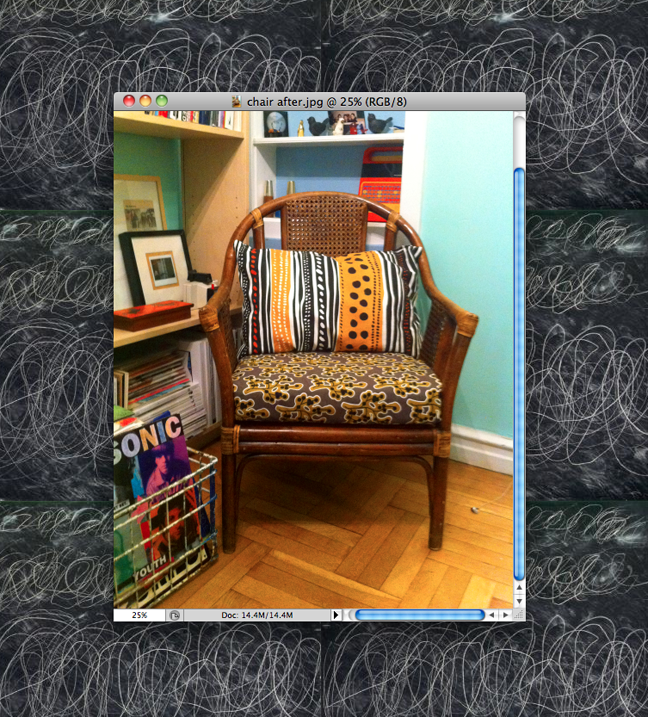 But I did do it it real reupholster styles- notched corners and folded tight. Just don't flip that cushion over or we got issues, mmkay? So jealous of your manhattan apartment, what a dream. And nice work with the chair! Diggin' that pillow! amazing. so aztec of you. one of the coolest diy projects i've seen! Post more apartment shots! I still live at home and like to live vicariously through others homes! I love the mixing of the opposing fabrics. The chair looks great now. LOOOOOVE. 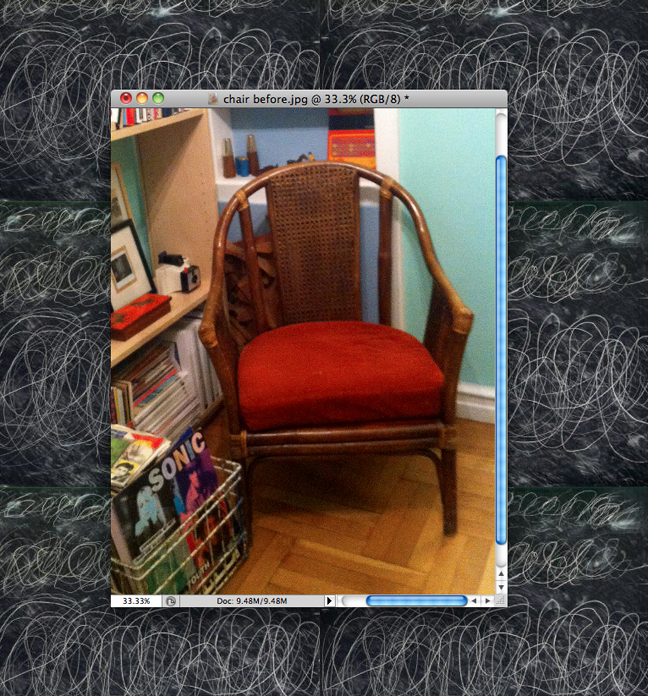 I am so into chair makeovers. So many people just don't GET IT but it makes you feel so accomplished, haha! Okay, those chairs are awesome. Very cool. A really beautiful change. Love the pattern of the pillow. By the way, if you have troubles with your email, please take a look at gmail sign in or gmail login or another gmail account login and gmail sign up for gmail and visit hotmail login for Hotmail hotmail sign in Thank you!! Looking more nice the last chair .